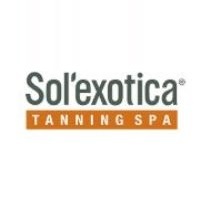 Sol’exotica Tanning Spa offers only the best in tanning equipment, from names such as Ergoline and UWE. We offer 7 Levels of Laydown and Stand-up tanning options to choose from. With great hours and great prices, our SmartTan certified staff will help educate our clients and provide the best tanning experience possible, in a very clean and friendly environment.